Updating your captains boat chair to a more comfortable and modern seat can improve your experience on the boat greatly. Simple features from seat storage, armrests and extra padding on the chair can go along way. 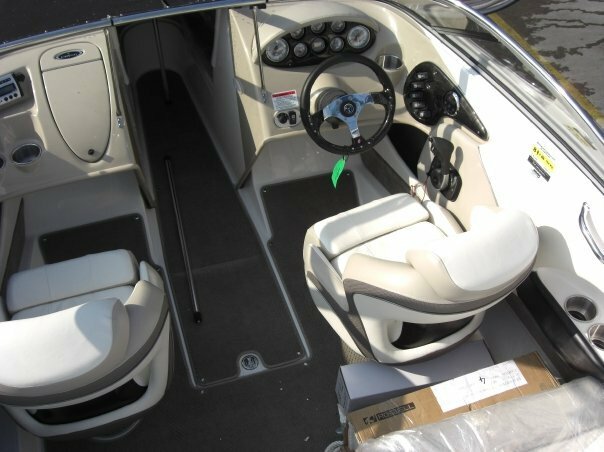 The best captain boat chair is the Leader Accessories Two Tone Bucket Seat, which uses high quality marine graded vinyl that is resistant to mildew and UV treated. A rough looking boat chair can look terrible and ruin the overall look and feel to a boat. Upgrading to the latest boat seats available will ultimately add value to your boat and provide additional functionality such as 360 degree rotation and more. Unlike other marine products that you will only use a few times on the boat, the captains chair is something that is used all the time. Finding a suitable chair that maximizes comfort and provides useful features is critical. Performance of the seat is fairly important as not only must it withstand heavy impacts from the waves but also saltwater and UV rays from the sun. The majority of high end examples provide excellent resistance and sturdy mounting platforms for longevity. Factors such as type, design, size, material, compatibility, ability to fold and more should be considering prior to purchasing. Below is a list of the best boat seats for captains that offer a range of useful features and optimum comfort. Leader Accessories produce a wide array of marine products from heavy duty boat covers to high quality captain boat seats such as this one. It is constructed of the finest marine graded vinyl that is mildew resistant and UV treated. The seat itself is 23.5 inches tall, 20.5 inches wide and 26 inches in depth, which will work with most standard bolt patterns for sliders. The Leader Accessories is a two tone style and there is a choice of colors such as blue, charcoal and red. In terms of features, there is a flip up bolster to give the seat added height, which is great for children that need the extra height to see the ocean. The seat itself has a high intensity foam padding for optimum support, which results in excellent comfort. Leader Accessories has produced the best boat seat for captains that combines both performance and comfort into an excellent chair. This is another Leader Accessories chair that is suited towards maximum comfort as it has matching armrests and plush foam padding. The seats are coated in heavy duty marine grade vinyl along with the molded plastic frame for durability. The dimensions for this captains boat chair are 19.5 inches tall, 24 inches wide and 20 inches in depth. The additional wideness of course comes from the arm rests that simply add to the comfort for a relaxing cruise on the ocean. There is only a single color, which is white with grey piping that looks modern but it would be nice if there was more choice. Included in the package are 4 mounting screws and the chair itself will simply mount onto the standard bolt pattern. Overall, it is the most comfortable boat chair that any captain will enjoy sitting on for long periods of time. Leader Accessories are leading the way with boat chairs and everything they produce is known for being high quality. The Tempress NaviStyle High Back is a stain resistant marine graded vinyl chair that uses a high plastic frame that folds for additional space on the boat. With additional lumbar support and padding, this captain boat chair is very comfortable to sit on for long journeys. The folding functionality is very desirable and features an automatic locking feature to keep it locked, which is very useful when trailering. There is also a “no-pinch” stainless steel hinge with integral lock so that it remains in position. The Tempress NaviStyle is available in 9 different styles and it is one of the best folding boat seats with the added benefit of being reasonable priced. The Moeller Marine alternative is on the slightly expensive side of things but offers heavy duty qualities and excellent craftsmanship. The seat is only available in all white but this is the most popular color that suits the majority of boats. The dimensions of the Moeller Marine are 13.5 inches in height, 17.5 inches wide and 18.5 inches long. If you are a “big” adult, the seat may be slightly too small for long periods of time due to the smaller width than the others. It is a popular boat chair that is loved by many captains worldwide. The design will always remain modern regardless of the boat and the marine graded vinyl will withstand years of punishment. The Seamander S1040 Series is a bucket seat that has a height of 19.7 inches, width of 22.2 inches and depth of 21.7 inches. The high density frame is covered with high compression foam padding that is finished with marine grade soft vinyl for comfort. In terms of installing the boat seat, it uses the standard mounting pattern and is a bolt in direct fit. All mounting hardware and screws are included, so there is no messing around with finding additional parts. Overall, the Seamander S1040 series are very comfortable and high quality boat chairs that will look great on a range of boats. There are 4 different colors of piping to choose but the seat color is only available in white. For the boat captain and passengers, the chair is something that is used all the time on the boat. Finding a seat combines performance, comfort and durability can be tricky but the recommended boat chairs above all offer these three traits. Many boat owners will put off replacing their boat seats as they believe it will be expensive to upgrade. However, the majority of these people are only checking the dealerships and don’t realize you can find cheaper alternatives elsewhere. Before replacing your boat seats, its important that you consider the factors that could be the difference between and average and good boat seat. 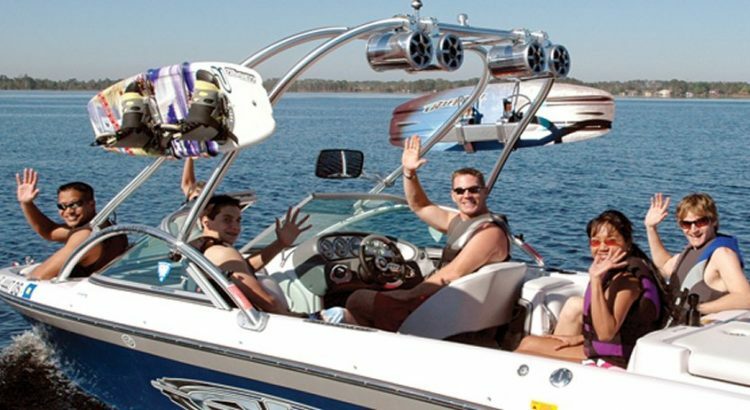 All boat chairs that you buy from new should come with the mounting hardware required to secure it in place on the boat. Along with this hardware should be screws and the other bits but keep an eye out for the material. As the majority of boats will be used on saltwater, its important that they are resistant to corrosion. For example, stainless steel hardware is mostly used as per the example above. For a direct replacement to your old boat seat, check the mounting bolt patterns are a standard size. This will ensure installation is very simple and is just a bolt on job without any hassle. Comfortable boat chairs are big business and ensuring maximum comfort for long journeys is highly desirable. Ensuring that their is adequate padding on the seat that will adsorb the impact hits for the waves will go along way. The design of the seat plays a big part because if it is a sporty bucket boat seat, it won’t be as comfortable as a pontoon wide bodied seat with armrest. However, the flip side is that at high speeds, the bucket seat will hold onto you as you fly off the waves. As mentioned in the comfort section, arm rests are a great addition along with lumbar support for additional comfort for those long trips on the ocean. The list of features can carry on from folding boat seats for fishermen to have more room to 360 degree rotation. 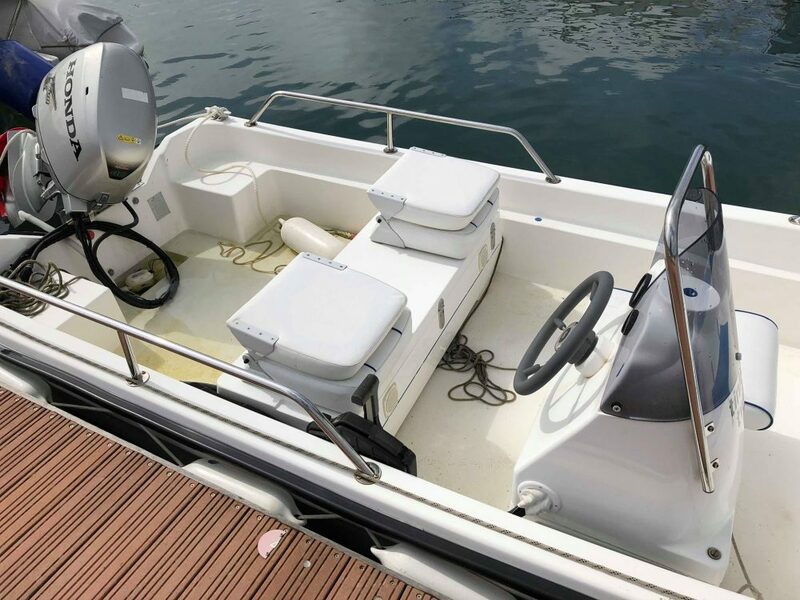 Assessing your needs and requirements of the boat seat is vital before purchasing just from sight alone. There is a dedicated boat style for each type of boat and the above example is a mixture of the top rated captain boat chairs available. 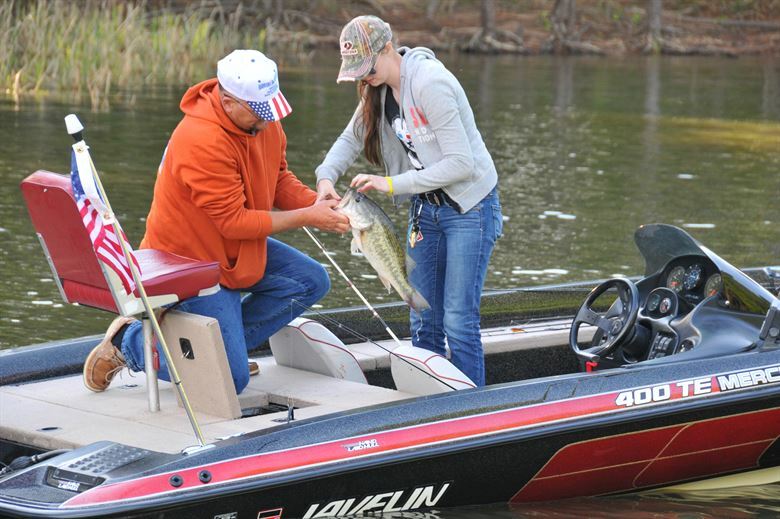 Upgrading your boat chair can make a huge difference to your experience on the water. Long journeys will become much more comfortable with spongy padding and other features. The Leader Accessories examples rated first and second in this review are the best boat chairs for captains and will not leave you disappointed. We also highly recommend purchasing a suitable boat seat cleaner that will help you safely remove dirt. You should also avoid using a bleach-based cleaner as this can interfere with the stitching, which can then deteriorate overtime. Hey David – Both the Leader Accessories captain seats are highly recommended!